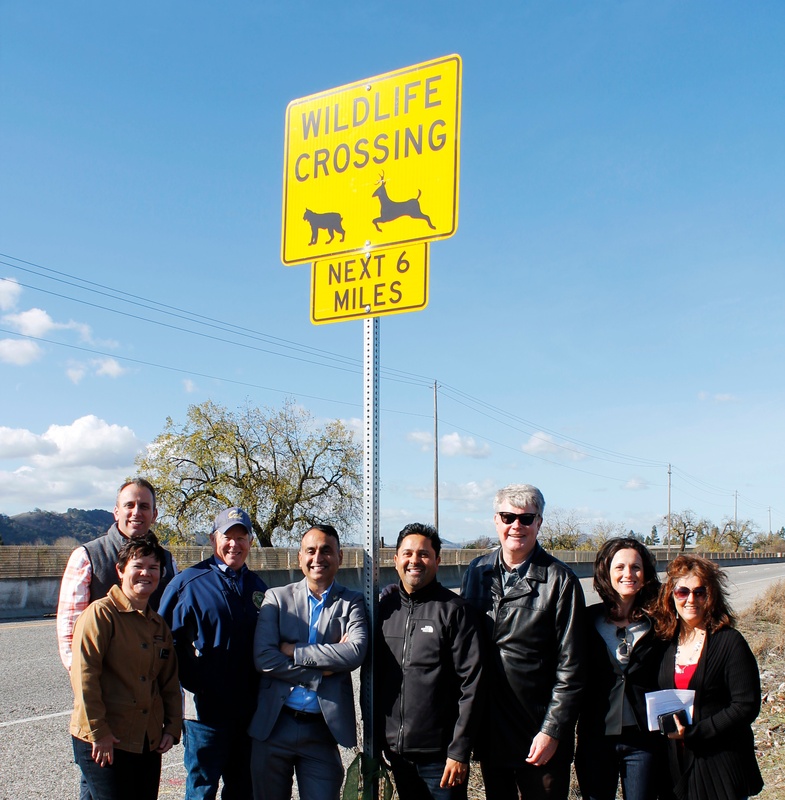 On Friday, November 30, 2018, the Open Space Authority along with the City of San Jose unveiled the first wildlife crossing signage along Monterey Road in Coyote Valley. Placement of this signage will improve safety for both human and natural communities while also raising awareness of the need to accommodate wildlife movement in this critical wildlife corridor for many wildlife species including badgers, bobcats, deer, coyotes, and mountain lions. “These signs are symbolic and representative of our continued commitment to protect the Coyote Valley from development, to protect our habitat and wildlife,” said Senator Monning. Wildlife needs safe passage across busy roads like Monterey Road and to move between protected open spaces. Education is a first step to reducing roadway collisions between people and wildlife. Coyote Valley is a wildlife hotspot and one of the last remaining corridors that animals have left to travel across Santa Clara Valley between the protected habitat in the Santa Cruz Mountains and the Diablo Range. Coyote Valley is the last puzzle piece that connects over 400,000 acres of protected open space in the two mountain ranges framing this Valley, where conservationists have already invested over $3 billion in private and public funds to protect these habitats! In 2018, the Authority partnered with Peninsula Open Space Trust and leading scientists to develop a vision to protect and restore Coyote Valley as “Nature’s Infrastructure” – a vision we call the Coyote Valley Landscape Linkage. By implementing the Landscape Linkage, wildlife thrives through safe passage and connected habitats; our groundwater basins and drinking water are safeguarded from development; we slow downstream flooding in San Jose; we support farmers who grow our food; and we build the resilience of our communities to a changing climate. That’s a pretty solid return on investment! Thanks to San Jose voters who recently passed the Measure T bond - up to $50 million will be made available for land acquisition in Coyote Valley to protect floodplain habitat, creeks, and streams for the benefit of people and wildlife. Learn more about what the Authority is doing in Coyote Valley here.